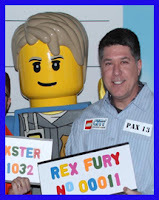 Steve Lettieri is a name that few LEGO enthusiasts will be familiar with. But nearly every LEGO fan will have seen the work that he and the team at Killer Minnow do. From print adverts and web shorts, to designs and story ideas, Killer Minnow work closely with LEGO to create the content that supports the sets. 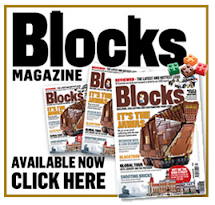 To share more about what Steve and his team do, he kindly took the time to answer questions about their work with LEGO. This may sound obvious, but what does Killer Minnow as a company actually do? Never an obvious question! Killer Minnow is a creative studio focused on conceptual design, animation, games, and transmedia production. So depending on the project, we are usually taking an idea and bringing it from concept to final execution or some step along the way. More often than not we are creating some kind of content (animation, illustration, 3D model, etc.) that involves a character and a story. How long have the team at Killer Minnow been working together? We started Killer Minnow back in January 2009. Creative Director, Rob King and Animation/VFX Supervisor, Chris Conway worked together for a number of years at a previous job and the three of us all knew each other from the local Connecticut production community. I was finishing up a consulting project in late 2008, so I was thinking about what was going to be my “next thing.” Turns out Rob and Chris were thinking the same thing. So we decided to start a company together! 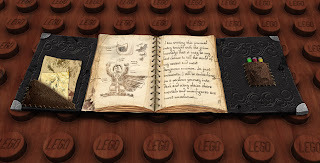 What was the first project that you worked on with LEGO, and how did that come about? Well, we knew that the LEGO U.S. headquarters was in Connecticut like us, so we always intended to reach out to them. We had done some work for Hasbro during our first couple years (and still do), so we finally made a “cold call” to them. We heard back from the creative director later that same day. A week later we had a meeting to discuss our capabilities and their project needs. And a week after that we were working on a LEGO Star Wars print ad! A little bit of good timing, good luck, and good work I guess. We’re now approaching two years of working together. We collaborate on many, many projects across a variety of their product lines. We’ve worked on LEGO Star Wars, City, TMNT, Ninjago, Monster Fighters, Master Builder Academy, Games, Superheroes, and most recently Galaxy Squad. 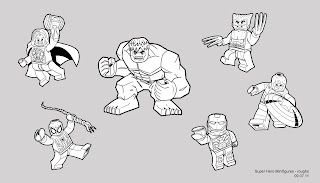 So are those illustrated images of the mini-figures usually your work? Depends on the project really. 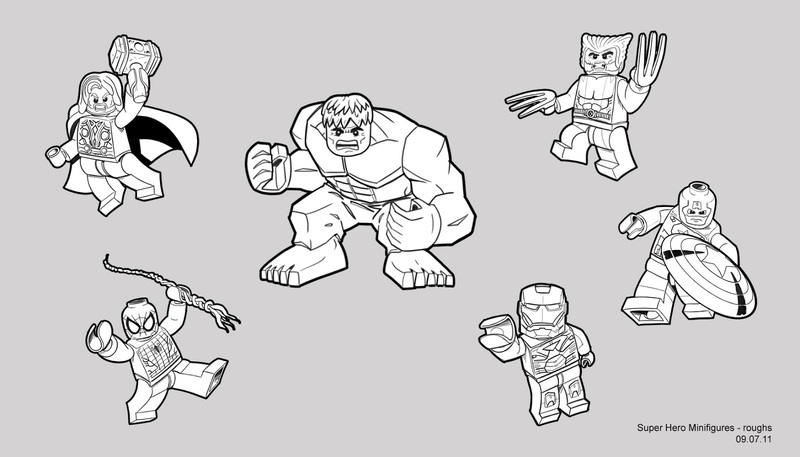 We’ve done a variety of mini-fig art, including on-the-box stuff, like for LEGO Marvel Superheroes. There are so many projects that LEGO has going on at any one time that it’d be hard for us to work on them all. Not that we would mind! Do LEGO tell you about the products and see what concepts you come up with, or do you get quite specific direction? Unless it’s a real rush, for most projects we get a creative brief outlining the objectives of the project, some idea of the general creative direction, and the requested final deliverables (animation, print ad, etc). We often times do get the product kits, sometimes even early prototypes, which is really cool. And if it’s something that requires 3D work we also get the Maya 3D models to use in animation, etc. Sometimes we get a lot of direction, other times not as much. It really depends. If we’re doing concept work, we’ll get general guidelines. Like say “come up with 10 new weapon ideas for Ninjago” or “five new kit ideas for LEGO City.” A print ad usually has a bit more direction. But we still get quite a bit of freedom especially in figuring out the story scenario for the project. When you are designing ideas for LEGO kits, how closely do you work with the toy designers? Normally we’re working with the Consumer Marketing Agency team in Enfield, Connecticut or directly with marketing and brand team members. So, unfortunately, we don’t work much with the toy designers themselves. Usually stuff is well along the development track when we get involved. Although, we actually do have a couple of projects coming up where we’ll be working a bit with LEGO master builders, which is pretty cool! 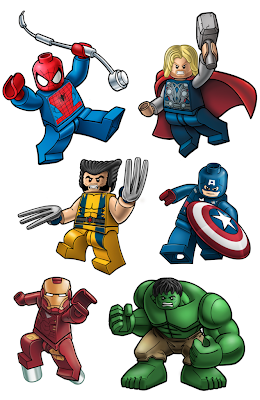 Which LEGO theme have you had the most involvement with so far? We’ve done quite a bit of work on some of the LEGO original themes like Monster Fighters and now Galaxy Squad, but overall the one we’ve had the most involvement with is probably LEGO Star Wars. It was the first one we started working with and to date we’ve done a wide variety of work on that theme, including print ads, Advent Calendar designs, web comics, mini-movies, on-the box story starters, etc. Of course the coolest thing we’ve gotten to do is help develop the new original character Jek-14! We’re big fans of both LEGO and Star Wars, so working on these projects is a lot of fun. 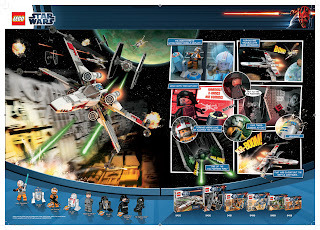 Can you tell us anything about how Jek-14 fits into the LEGO Star Wars Universe? Sorry, we are not allowed to say anything more about Jek-14 right now! How did The Yoda Chronicles come about, and what part did you play in it? 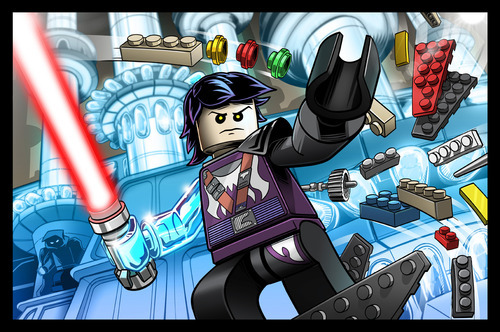 The initial ideas were developed by the various teams that work on LEGO Star Wars. We got involved to help with building on the initial concepts, so helping with character and content creation (like Jek-14 mentioned earlier). We wrote and storyboarded a lot of the web content and are creating other related content too (web art, print ads, etc.). It’s fun to see things get posted for fans to finally see, since often times we’ve worked on these up to a year earlier! We’ve actually already started work on stuff for 2014! Have you had much input into the TV episodes? Have you seen any of the work in progress from that? We did some early story work on The Yoda Chronicles TV specials. We have gotten to see some work in progress, but we're not really sure how many, if any, of our ideas will be in there. I do know that our names appear in the end credits, which is way cool! Do you have an all-time favourite web short that you have produced for LEGO? I like the Monster Fighters story video we produced. The style is really cool and it has gotten a really good response. I believe there are over 3 million views on YouTube alone (for the various postings). A two-part version even aired on Nickelodeon last summer. It was really fun seeing our work on TV. What can you tell us about Galaxy Squad? What do fans have to look forward to from the sets and from the work you have been doing? The way we’ve been describing Galaxy Squad is that it’s Starship Troopers for kids with a team of astronaut soldiers and their mech sidekicks fighting off an alien bug invasion. There are lots of cool vehicles and ships. And the alien vehicles are really cool too. I especially like the Warp Stinger. Most of the sets are in the stores in the U.S. Not sure about elsewhere. We have produced a series of animated videos, similar to what we did for Monster Fighters, although these have more 3D animation. There’s a main story “mood” video and then several shorter product/team focused videos. The story “mood” video went live just a few days ago. Have you and the Killer Minnow team been doing any building since working with LEGO? We’ve all been LEGO fans since we were kids, so building has been part of our play for a long time. And now Rob, Chris, and I all have kids of our own (ages 4 – 7), so we do a lot of building at home too! Rob in particular is really good at creating new designs with loose tubs of bricks. A huge thank you to Steve for taking the time to talk about the work that Killer Minnow do. 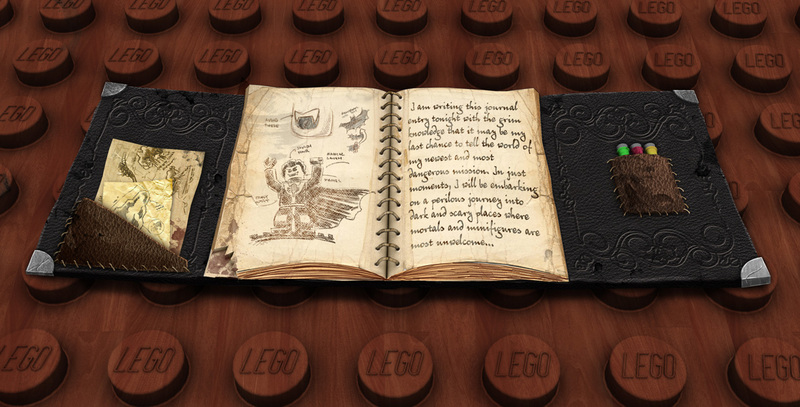 Stay tuned to the LEGO website for more of their animated shorts including The Yoda Chronicles. Where could LEGO go next with the Disney license?